It takes a village to build a preschool! This amazing group of professionals and friends are there for us every time we need a second opinion on all things ranging from children behavior and language acquisition techniques to business management. We are proud and lucky to have them as part of our Tribu. Yalda, is a former molecular immunologist, and later consultant to for-profit and non-profit organizations. Born in Boston, Massachusetts, Yalda moved to Iran as a kindergartner and returned to the U.S. at the age of 9 years. As an undergraduate, she majored in Psychology, with an emphasis on Child and Developmental Psychology, finishing a dual degree in Experimental Psychology and Human Biology. Yalda went on to pursue a career in biomedical research and spent 8 years at Harvard Medical School, first as a research associate and later as a graduate student. In 2000, Yalda changed career paths and became a consultant for startups, Fortune 50+ corporations and non-profit organizations as a strategist and evaluator. In 2005, Yalda posted an ad on a local listserve in Berkeley California, in search of a Persian language immersion program for her first-born son Kian, then two years old. She received a response from another mother that led to a weekly parent playgroup and eventually became Golestan. Yalda was hired as Golestan’s full-time Executive Director in 2008. Having learned how difficult it is to start and run a school, Golestan was established as a 501(c)(3) nonprofit organization with the mission to support other educators and parents in raising multilingual and multicultural children. Golestan's unique pedagoy began to attract educators of all languages/backgrounds. Today, Golestan has worked with over 80 groups (pro bono) wanting to emulate the unique nurturing hands-on educational model; about 1/3 are language immersion schools. "In winter of 2017, I was introduced to Carolina by my close friends who sent their child to La Tribu. Carolina visited Golestan in the spring of 2017, and a few months later, I flew to Austin to speak with teachers and parents on the subject of language immersion in the classroom and in the home. Knowing firsthand how difficult it is to run a school, I am committed to supporting other educators in any way that I can. I may not always have the answers, but I certainly can try to help find them. Carolina does not have the luxury of turning to a Board of Directors as I do for support and guidance. It is an honor to play a small role in providing this type of much needed support for La Tribu." Gina is an expert in Early Childhood Education with over 20 years experience in both public and private school settings. She began her career as a bilingual elementary school teacher for 3rd grade and PreK in AISD. Most recently she founded and operated a STEM-focused preschool, Austin STEM Academy where she created and authored the preschool STEM curriculum used. Gina currently works as a preschool consultant with Austin area preschools. "It is a pleasure to be working with La Tribu preschool on the Advisory Board. I became involved with La Tribu after being introduced to founders, Carolina and Daniela, by a mutual business incubator. They were taking over a licensed building and were starting a Spanish Immersion Montessori preschool program when I met them and they have since grown it to a wonderful little preschool. It has been a pleasure to mentor them through the growth they have seen and I have now stepped into a more formal role as a member of the Advisory Board. I look forward to working with Carolina to grow and enhance the already wonderful school. " 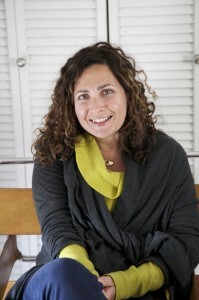 Sandy is an award-winning author, parent coach, and founder of Language of Listening® at www.languageoflistening.com. She teaches parents and teachers simple coaching skills for working with children. She also offers advanced training for those who wish to become licensed Language of Listening® coaches. Sandy's three-step coaching model for bringing out the greatness in children is introduced in a handbook that has changed thousands of lives: SAY WHAT YOU SEE® for Parents and Teachers: More hugs. More respect. Elegantly simple. She is also co-author with Drs. Landreth, Bratton, and Kellam of Child Parent Relationship Therapy (CPRT) Treatment Manual, 1st ed. "I first met the co-founders of La Tribu, Carolina Peredo and Daniela Ruiz, in early 2014 when they contacted me for an interview on their radio show, Madre Hay Una Sola. Their passion for bringing out the greatness in children and helping other parents do the same was so strong I was immediately inspired to become their mentor. Over the next year, I met regularly with them in their homes and at the park to demonstrate Language of Listening® coaching skills with their sons who were toddlers at the time. When they opened La Tribu, they invited me to share my work with the parents and teachers at the school and consult on specific situations that arose. Becoming a member of the La Tribu Advisory Board is an honor and feels like a natural next step that will allow me to continue to support the school in it's mission of helping children feel valued, respected, and loved in a home-away-from-home Spanish-immersion environment." As a Clinical Psychologist specialized in Children and Adolescence, I worked more than 10 years in Institutions in Argentina, between them, the National Institution for treatment and care of families in vulnerable social conditions where I worked relocating children that were in institutions with biological and foster families giving them the possibility to grow in a love and care environment. I worked at the Emergency Unit at a Hospital of Mental Health for Children and Adolescents and in my private practice. As a Professor in Psychology I taught the subject of emergency in psychology at the University of Buenos Aires for 13 years, and trained practitioners psychologists and psychiatrists at different hospitals of the City of Buenos Aires. I did postgraduate studies in Psychoanalysis at the School of Lacanian Orientation in Buenos Aires. I arrived to Houston 2 years ago and started my practice as a Life Coach counseling parents and children in struggling situations giving them the time and the space to address their difficulties. As a psychoanalyst I respect everyone’s differences and the concern of each parent helping them build in a new way their own parenthood. Laura graduated as a clinical Psychologist and focused on research before she started her journey as a mother. After having her son, Laura deepened her knowledge in childhood development related to the areas of basic music competency and the latest techniques for language reinforcement and second language acquisition. Her passion for research is still alive as she constantly looks for the latest studies related to early childhood development to continue enhancing the classes she offers through Mi Casa Es Tu Casa, a business she founded in 2017 to introduce and reinforce Spanish for parents and children from birth to 5 years old through music and fun dynamics. "I met Daniela in my neighborhood and later Carolina through children music classes that were offered in the same building that is now exclusively for La Tribu. I was immediately hooked by the idea of a Montessori Spanish immersion school and became involved as an assistant teacher for a little while. At La Tribu, I was able to share insights from my perspective and knowledge as a psychologist and gained an immense amount of knowledge about Montessori’s philosophy as my friendship with both Carolina and Daniela grew. Now that I have initiated my own entrepreneurial path, it is an honor to still be involved with La Tribu as a member of the Advisory Board to be able to support such beautiful and caring school in the areas of psychology and language acquisition."